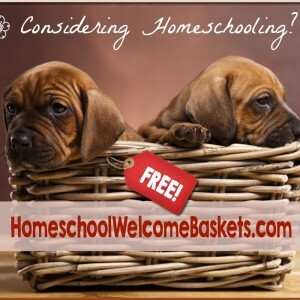 We homeschool multiple children, with 70 percent of respondents schooling two or more children and more than a third (36 percent) three or more children. The students cross all ages, evenly split between 5-8, 9-11, and 12-15, and nearly a quarter of our respondents are educating a student finishing high school (23 percent have a student aged 16-18). We’re stable (94 percent are married and 75 percent own or are paying off their homes); people of faith (83 percent attend church weekly or, at a minimum, multiple times each month); educated (73 percent have a college associates degree through doctorate, or a professional trade degree); and 90 percent of respondents earn $30,000 annually or more (49 percent of the total have household incomes of $30,000– $70,000). Our community uses a wide variety of curriculum and methods, with 79 percent saying they employ a combination of teaching approaches: classical, Charlotte Mason, unit studies, eclectic, packaged, and more; and a vast majority of our readers use a combination of print, video, online, downloaded, and packaged curriculum. Our readership pulls from more than 270 different websites and online curriculum providers for their lesson material, meaning that our tribe of readers literally scans the globe, and the Internet, for their lessons. Diverse market: Homeschooling is growing among minority markets, with 15 percent of current homeschoolers non-white/non-Anglo. Also, a demographically wide variety homeschool: Christians, Mormons, atheists, conservatives, liberals, libertarians, those with college degrees and advanced degrees, and families with only one or no college degree. The market is committed to academic performance and achievement: The home-educated typically score 15 to 30 percentile points above public school students on standardized academic achievement tests. Connected online: The Old Schoolhouse® readers have downloaded close to 100,000 of the app for our magazine. (iTunes, Google Play, Amazon.com/Kindle – www.TOSApps.com). In addition, the magazine company’s social media is exploding. As of 2018, we have over 250,000 followers and 2019’s projections are much higher. (Facebook, Pinterest, Twitter, the company blog, etc.). Inbox marketing list is over 70k. 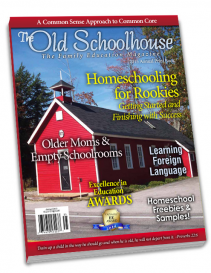 Wherever you homeschool, remember that your friends at The Old Schoolhouse® Magazine are here to help you bring your children home where they belong. * Our confidence level in this survey is 99 percent (with a confidence interval of an extremely low margin for error: 2.86 percent). Survey commissioned by marketing professional Brad Doll for TOSM, LLC, November–December 2014.